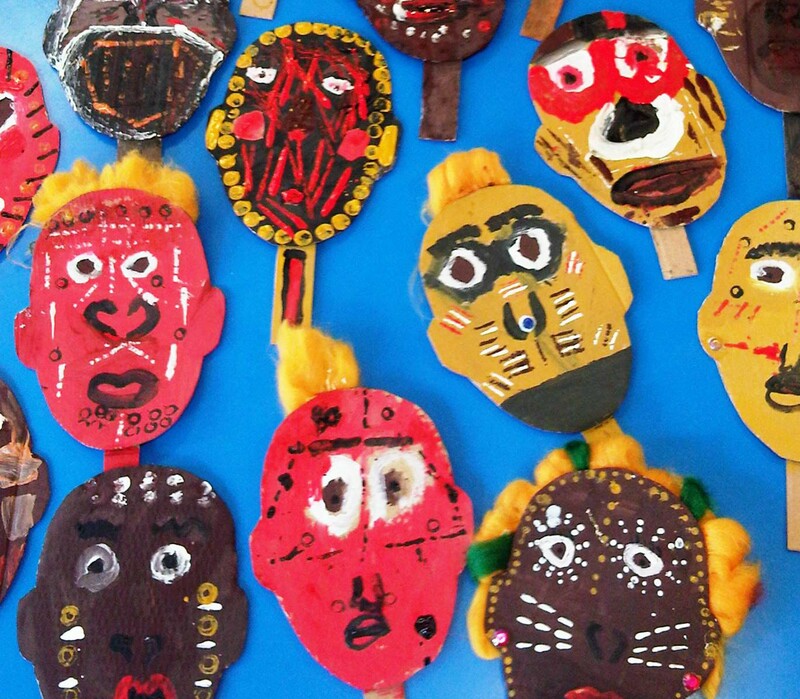 I love African art and design and the use of vibrant colours and simple, exciting patterns mean that children love it too. 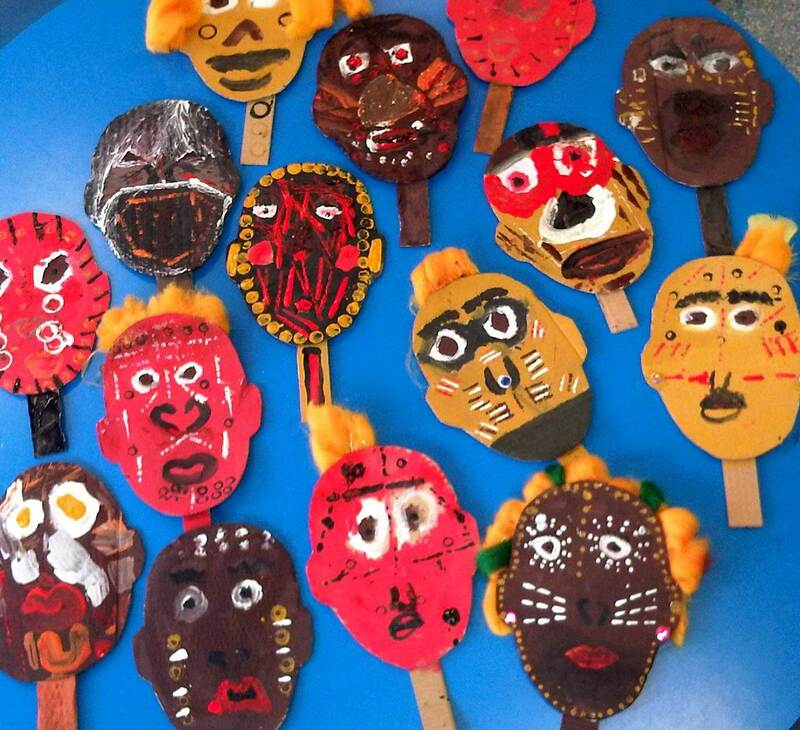 These African tribal masks couldn’t be easier to make! Just cut out a face shape from an old cardboard box and stick a strip on the back with which to hold the mask. Paint the whole mask in one colour and then paint the eyes, nose and mouth. 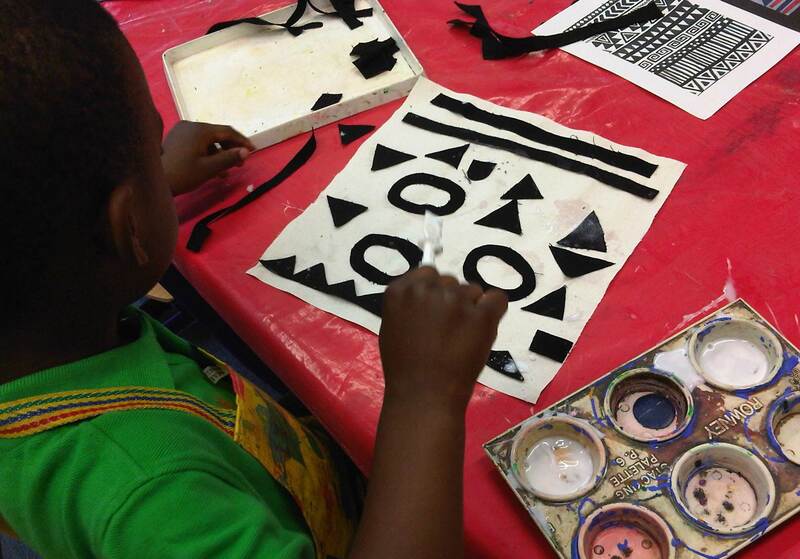 Once the paint has begun to dry, use mark making tools to make the patterns. By ‘mark making tools’ I mean anything and everything from old straws, discarded pen lids, strips of card, combs etc. I keep a box full of junk for this purpose which I use all the time. Finally, You could add beads, shells, buttons etc. for jewellery and decoration too. 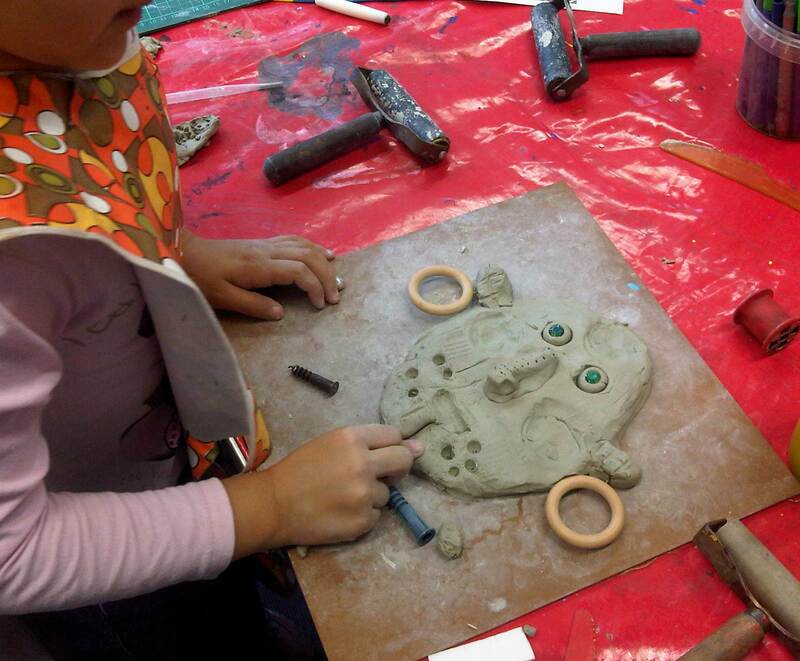 They used thumbs to create eye sockets and leftover clay to roll eye balls and nose. They then got to work with the tools to create patterns. Finally, they added beads for eyes and curtain rings for earrings! Air drying clay is brilliant because there’s no need for firing. It can be painted with a mix of poster paint and PVA or just leave plain. 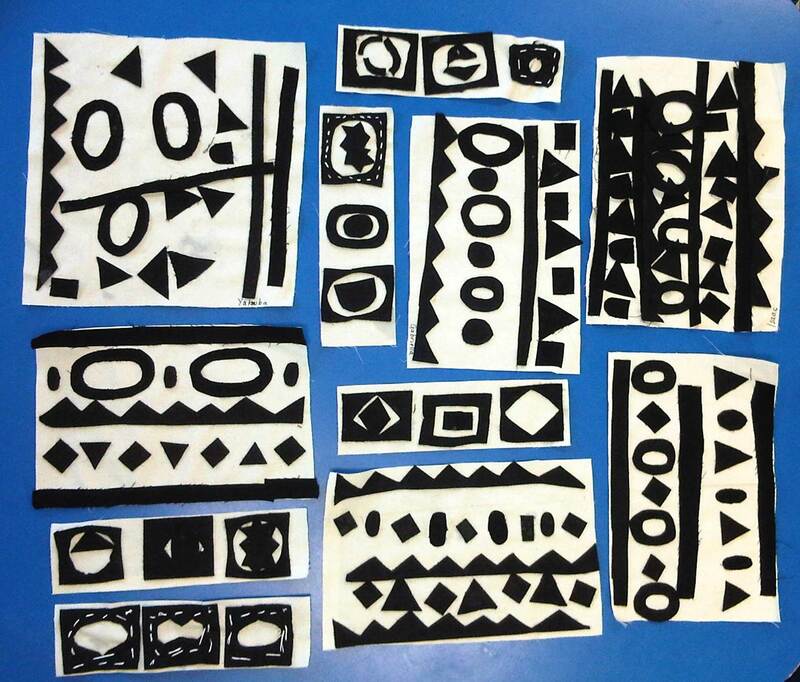 These very simple and effective black and white patterns are inspired by West African Adinkra symbols. We used black and white fabric and stuck them on with PVA glue , although older children could spend more time on them and stitch around the edges using a simple running stitch in white thread.